This is one I've been making for a long time. Probably since I was about 13. It was one of my very favorite desserts as a kid. And when I taste it now, it brings me right back. Mix above ingredients well with mixer. Pour into 9x13 baking dish. In separate bowl combine 2 c. brown sugar 3 Tbsp. cocoa. Sprinkle over batter. Pour 3 1/2 c hot water over top and bake 45 min. @350 degrees. First mix up the batter and pour batter into a 9 x 13 baking dish. Mix together brown sugar & cocoa and sprinkle on top of batter. Pour hot water over top. It comes out looking somewhat like a regular pan of brownies. It's not as sweet as you would think it might be and in my opinion MUST be served hot, over vanilla ice cream. Oh my goodness that looks like heaven! I'm sure your thighs will NEVER know! yours looks super-yummy. i think that i might just have to try that one next time we have company over for Sunday dessert. YUM! sorry did not mean to post twice... guess that is what happens when you click the enter key one to many times. Oh. Wow. Ummm...yum. I think I might actually have all those ingredients. Don't let my "thighs" know!!! You are so funny!! love the green and purple!!! 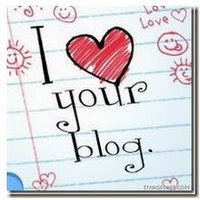 What a yummy BLOG. I will be back. I am new to blogging, but loving it. Stop by my blog for a visit. I am giving away my first EVER BLOG PRIZE. I have a gift basket business and it is the most requested gift over the last 15 years. From the comments I have already received, appears to be something a little different and something anyone could use. I have been so touched by the comments that I have decided to give 2 boxes . They will be the $100 deluxe size. I really do want to bless people!!! I want my blog to encourage others. I have decided that giving is life at its BEST. The drawing will be Saturday! OH my! See what I've been missing! Maybe that's how I was able to lose my weight! Not looking at your delicious recipes! You might be the end of me!